A page for some of the wonderful people who have been important to Black Veil Brides' success. 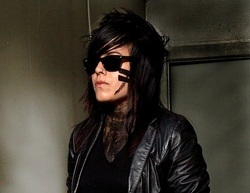 Sandra was the first drummer for Black Veil Brides and recorded We Stitch These Wounds with them! You can see her in the "Knives and Pens" and "Perfect Weapon" videos, and now she is the drummer for the band Modern Day Escape. You can find her on Twitter here. Patrick Fogarty is a director/producer and he has directed all of Black Veil Brides' music videos (except for 'Fallen Angels')! 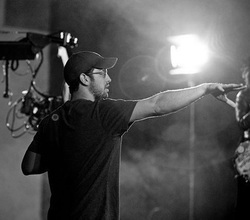 He also directed 'Legion of the Black' and he is a close friend of the band. You can find him on Twitter and Instagram. Richard Villa III is an artist and he has done all the album art for the band. 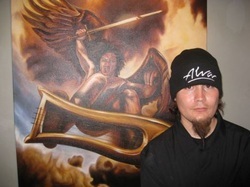 He also worked closely with them for the visuals in 'Legion of the Black' and has designed a few posters for them. You can find him on Twitter here. Chris was the lead guitarist in the Cincinnati-based Black Veil Brides! 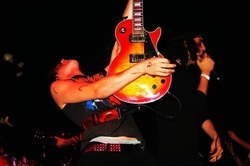 He co-wrote Knives and Pens with Andy, now he is in the band Star City Meltdown. You can find him on Twitter here. 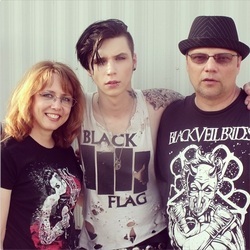 Chris and Amy are Andy's parents! They do an awesome job of keeping fans updated on twitter and replying to a lot of questions! Mark Pitts is Jake's dad! Find him on Twitter and on Facebook!